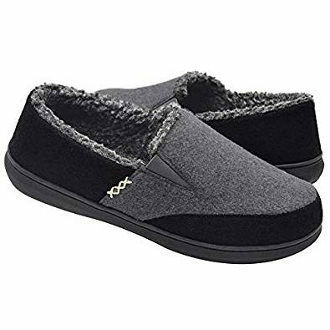 If there is nothing more important in a pair of comfy house slippers for you than sliding on and off the foot easily, then scuff slippers are the right slippers for you since they are backless and easy to wear. 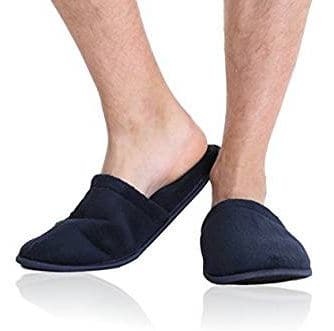 Open back slippers are made of different materials and can be open toe and closed toe, but here we have selected the best scuff slippers for men based on their very affordable price and top user reviews. 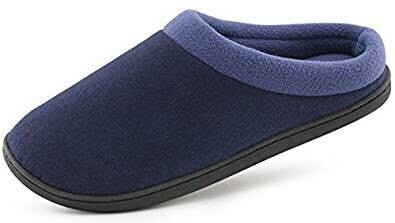 So, here is a look at 13 cheap scuff slippers for men reviews that can make great affordable gifts. 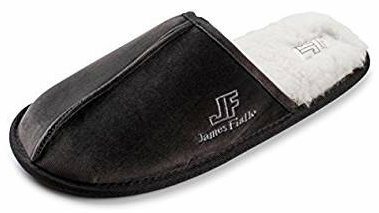 These inexpensive scuff slippers for men have faux fleece lining which feels soft and offers some cushioning while the exterior features faux corduroy material with an imprinted emblem and a nice border around the sole. The outsole is lightweight and sturdy. Users seem to like this footwear and find it good looking, warm and comfy. Some people mentioned that the material inside wears out rather quick while others recommended ordering a slightly bigger size than what you normally wear. In addition, it doesn’t make feet sweat. 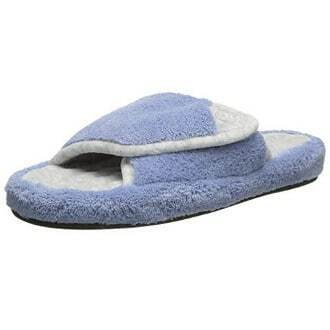 These very low priced scuff slippers feature soft fleece material and they feel cozy and warm. They come in three colours and it is recommended that you order a size up. Users review that they are great for the price. The outsole is solid but not waterproof or thick enough. People also find them warm and comfortable. These are not supportive slippers and people’s reviews are mixed when it comes to how durable they actually are. 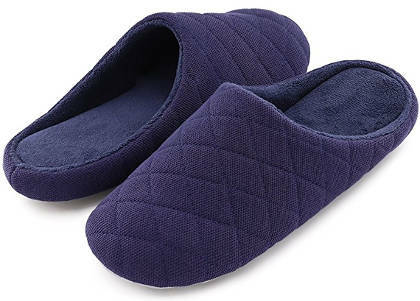 These quilted scuff slippers feature a cotton knit upper as well as sweat-absorbing breathable lining and an insole that is cushioned with memory foam. 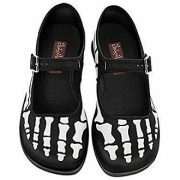 They have a deep upper, which prevents them from sliding off your foot, and a water proof rubber outsole that is anti-slip. 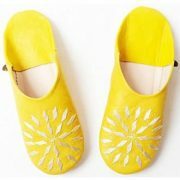 In addition, they are lightweight, foldable and machine washable. They come in three colours with a 100% money back guarantee. 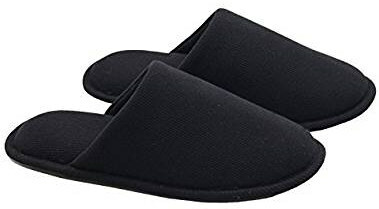 Users like the fact that these cheap open heel slippers are easy to slide on and off, fit well and are comfy, soft and cushiony. These leather scuff slippers look quality and they are quite affordable for leather slippers. They feature nice stitching and details on the upper while the outsole is made of rubber. Users like that these leather scuffs look smart and stylish. They are also sturdy and lightweight. Although they are not cushioned and have no arch support, they are not uncomfortably flat. Nevertheless, the lack of cushion makes them uncomfortable for some people. 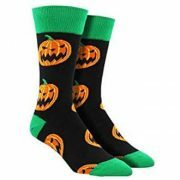 Users say they are great for the price and not uncomfortably warm but some of them have had problems ordering the right size. 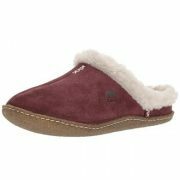 This Pembrook Scuff slippers look lightweight as well as soft and they are very easy to slip on. 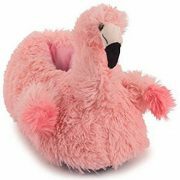 They are made of polar fleece that is ultra-soft and the foot bed is memory foam, providing some support and cushion to your foot. The outsole has tuber dots that provide some traction. 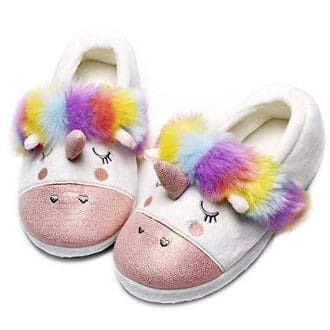 These are very cheap scuff slippers. 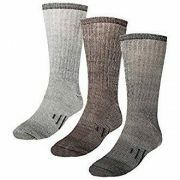 Users review that they are comfortable, soft and warm. They fit well, feel cozy and can be machine washed. Some people, though, have found that the padding of the sole is not adequate enough for their needs. 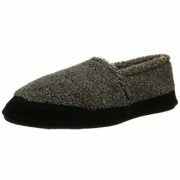 These HomeIdeas men’s slippers are reasonably priced scuff style slippers with some good quality features. 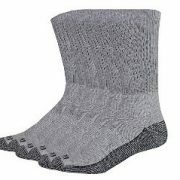 They are made of woollen fabric which is soft, anti-static and odourless. They also feature a waterproof rubber outsole that does not leave marks on the floor and does not produce irritating sounds. In addition, they can be both hand and machine washed, and come with a 100% money back guarantee. Finally, this footwear gathers many very positive reviews by users. 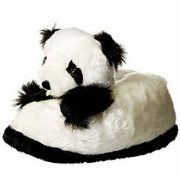 This trendy scuff slipper for men and teenagers looks good quality and stylish. It is not one of the very cheap scuff slippers in this review but has some nice features you may want to think about. It features a cotton blend upper, leece lining and a cushioned midsole while the outsole is suitable for both indoor and outdoor use. It can also be machine washed on gentle cycle and air dried. Users find it cozy, sturdy, comfy and warm. 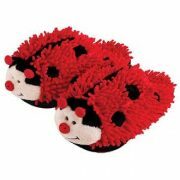 They also like the fact that this is a quality, durable and inexpensive scuff slipper. These lightweight scuffs for men feature sheepskin footbed, breathable lining, a suede cowhide upper and a hard thick rubber and protective outsole that allows for an indoor and outdoor use. 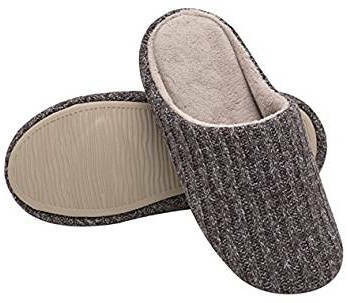 Users review that these open back slippers are warm without causing sweat, soft on the inside as well as comfy and durable. They also fit very well and do not slide off. 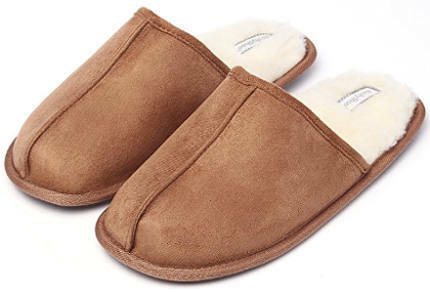 These men’s sheepskin slippers come in a scuff style and a moccasin style. 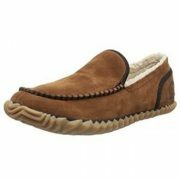 They feature sheepskin fur lining, a suede leather upper, a cushioned footbed and a flexible rubber outsole. Users review that they are soft and comfy. 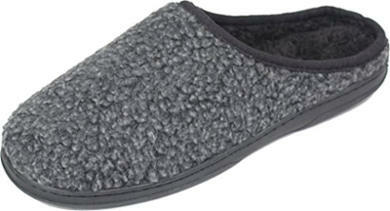 These cheap cotton knitted scuff slippers are made of 95% cotton and 5% velvet. They feature four layers of filling to offer some support and a TPR outsole that is anti-slip. In addition, they can be both machine and hand washed. Users like the memory foam lining, which makes them comfy, and the warm and soft material they are made of. 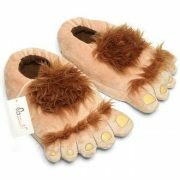 They feel cozy, have nice grippy outsoles and are very affordable. 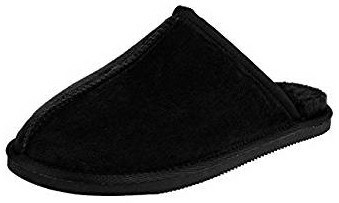 These suede scuff slippers feature faux fur lining, a suede upper and a rubber outsole. They can be hand or machine washed gently but should not be put in an automatic dryer. Users find the lining warm and smooth. These scuffs are easy to slip on and are well made. They also hold up well and are affordable. 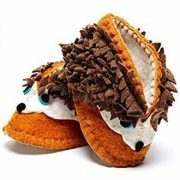 These organic cotton scuff house slippers feature a spongy memory foam footbed and a TPR outsole that does not damage floors. The cotton material is both breathable and environmentally friendly. In addition, they can be machine or hand washed and are ultra lightweight. Finally, they come with a 100% money back guarantee. 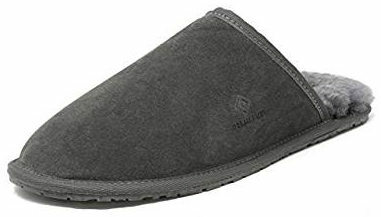 This inexpensive men’s scuff slipper features an easy to wash and dry soft lining and a TPR outsole that won’t damage your floor. You can wash it by hand or in the washing machine but should not use an automatic dryer. Users say that this footwear is good for the price and soft. Not all users, though, have found them comfortable enough and some mentioned that they come off easily. Also, the support is very little. 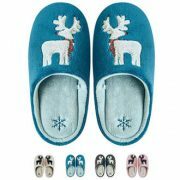 All in all, the cheap scuff slippers for men in this review should make a nice affordable gift for anyone in your shopping list.